We have introduced ourselves as one of the foremost designer and service provider of Interactive Voice Response System for Windows. Our system is complete, scalable and flexible solutions for voicemail, call attendant, menu system, info-line, audio text or autodial due to its powerful features. This can be used to create a wide range of solutions for everything from processing credit card payments to creating telephone surveys and help automate other business processes. 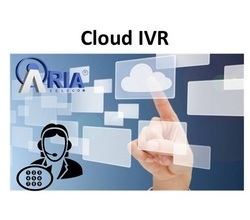 We are IVR service provider offering cloud based IVR service at most efficient price. It is plug and play virtual contact centre technology. Customize any call flow and grow your business on cloud. Department can connect to Extension, Mobile, Mailbox, information Voice File. Application Automobile Industry, Real Estate, Health Care, Event Management, Telemarketing / Advertisement etc. 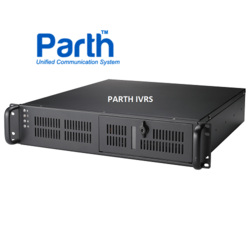 VC 60 is unique & India’s 1st smallest IVRS, which can work better than the professional IVRS. VC 60 is outbound IVRS software which work with GSM USB Modem to send dynamic VOICE & Text SMS to multiple peoples. Can be used as outbound IVRS, you can send 500-600 voice calls to multiple subscribers with specific value & date announcement.